5435 Boiling Springs Rd Munfordvile, KY. Hart County. 66 acre farm with deer and turkey. 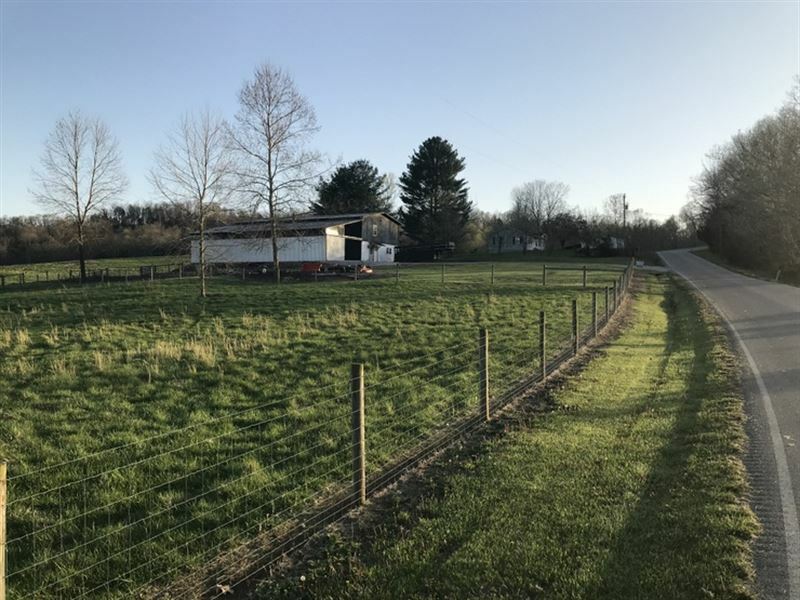 This farm is ready for livestock, sheep or goats it has a pond, road frontage and pastures that's approximately 20 acres each with woven wire and cross fenced internal with high tensile. Electric, septic and county water. This use to be an old hunting lodge with 7 bedrooms and 6 baths, living room, kitchen and stairs leading to the loft. There is also a gas fireplace. Concrete floors. There are two additional rooms that were used to raise chickens and a huge refrigerator for storing deer or other meats. Sliding doors on both ends for farm equipment. With a little work this place could have endless opportunities. Approximately 15 minutes to I-65 and the town of Munfordville.